You can hire a towing company to transport vehicles without any of them getting damaged in the process. Tow trucks have been around for nearly as long as there have been cars on the road. However, the methods for towing have evolved over the years. Early towing systems tend to use the hook or chains method that wrapped around an axle or a frame rail. Although some tow truck operators still use this technique in certain conditions, but they will employ other modern towing methods when performing their tasks. Wheel lifting device which can prevent damaging the vehicle compared to hook and chains towing. Because It will only touch the tires of the vehicle. The brackets are fitted behind or in front of the drive wheels of the car, and the wheels are cradled in between the brackets. However, this method requires the driver to be out of the truck to position the brackets and insert the pins to secure. An experienced operator will be able to do this in less than a minute. Another improved lifting method is the integrated lift. This wheel-lift system allows the drive to be controlled it inside the tow truck . The lift comes with hydraulic power. A long arm, also known as a stinger, is extended out as the tow truck backs up to the targeted vehicle. The leading edge of the wheel cradle touches the tires, while the other side of the cradle slides below the vehicle, just past the tire. The brackets of the device can be closed using hydraulics, lifting the tires on from both sides. The boom is then lifted, and the drive wheels will come off the ground, after which the tow truck and pull away the vehicle. A flatbed tow truck employs cable to pull or winch car on to the ramp or flatbed. The ramp of the flatbed tow truck can be inclined at an angle, some even has the ability to turn sideways. The towed vehicle is placed onto the back of the tow truck and then level to horizontal position for transportation. Loading each of your vehicles on a flatbed tow truck can also be done in a safe manner. The tow truck driver will park each vehicle in front of the ramp of the tow truck and back up so that the front tires can sit on the ramp. The front tires will be secured inside the brackets on the ramp before being lifted onto the flatbed. The towed vehicles will not roll off the tow truck because to the tires are being firmly secured with steel pins. The pins will prevent the tires from rotating while on the ramp of the flatbed tow truck. Another good reason for using flatbed tow truck is its safety and security. As the vehicle is on the flatbed while transported, they will not come into contact with the ground or road. This means the lower parts of the vehicles won’t risk receiving damage. You will not worry about the rubber on the tires being dragged on the road, and the transmission of the vehicles will be safe too. The downside of a flatbed towing is that they are not mobile or stealthy enough. It takes some time for the tow truck to raise the bed, and also the tow truck driver will need to ensure everything is secured; all this takes longer time. Compared to wheel lift towing, skillful operators can finish the job in less than few minutes. Another downside is that flatbed trucks are bigger in size, so in smaller spaces it will be difficult to maneuver around. When the towing operator is approaching the broken-down vehicle, they should slow down and be predictable in movement so that the other drivers and motorists around can see what is coming. Activate the emergency or hazard lights so that the surround drivers will be warned of the activities ahead. When stopping over in front of the broken-down vehicle, towing operators should check the mirrors and look behind before leaving the trucks. They should not turn their backs on the traffic approaching. Go around the front of the broken-down vehicle and walk along the passenger side of the broken-down vehicle. Attempt the hooking of the vehicles from the passenger side as often as possible, and work only on the traffic side when there is absolute necessity. Always looking out and listen to the oncoming traffic. A tip to listening the traffic to is to listen for the rumble strips, as most highways will have them on hard shoulder. Once heard, the towing operators will be aware of an approaching vehicle which has crossed over the white line and be prepared for any imminent dangers. When the hooking up is done, the towing operator is advised to build some speed before merging into the traffic. Accelerate slowly along the should until the speed is fast enough so the truck will not cause disruption to the flow of the traffic. Roadside assistance is actually considered a very hazardous job for tow operators. While performing duties such as jump starts, tire changes or gas refuels, the attention of the operators are focused on the jobs. This is when the danger comes in as they are diverted from the traffic conditions around them. Thus, in order to be on the safe side while on duty, the trucks should be parked at appropriate distance behind the broken-down vehicle. Towing operators should be close enough from their trucks to gather equipment, but far enough from the truck such that when a car hits the truck, the operator will have enough space to escape for safety. The wheels of the truck should turn towards the ditch line, so that should a collision happen, the impact will not make the truck roll from the lanes of traffic. During recoveries, there are several factors to consider; heavy vehicles, equipment failure, unseen damages and etc. Since towing operators are focused on so many issues, the focus will be diluted. Therefore, the first thing is to secure a safe zone. When working in a safe zone, the towing operator will be able to safely focus more on the task itself and less with the happenings around him. Van Nuys Towing is the best place to call when you’re in need of towing services and roadside assistance in the city of Van Nuys. 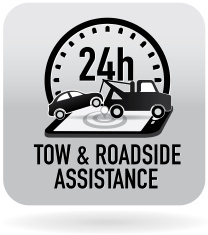 Our 24 hour tow trucks are available for your needs daily and nightly. no matter the time or place. Whether you’re in the city of Van Nuys or our surrounding cities such as Arleta, Panorama, Sherman Oaks or even North Hollywood, we’ll have a tow truck come out to you in minutes! Give us a call today at (818) 600-4200 for more information regarding our towing services and possible roadside assistance needs you may inquire. All of these services are available in the city of Van Nuys. Call us now to schedule an appointment or to request immediate towing services. Van Nuys Towing services are always available for you whenever you need it. With live operators readily available, our dispatchers are here to take your call, day or night. We take pride in our abilities to pay close attention to our customers, our callers, and all of those in need. Call us now for further information regarding the services that we offer.